SpaceX Rocket Has Launched SES Satellite Into Space, And It Is A Sight To Cherish: ES-12, a communication satellite today roared into space from Cape Canaveral on-board SpaceX Falcon 9 rocket. It is the second time that Falcon 9 has taken off from the same pad. 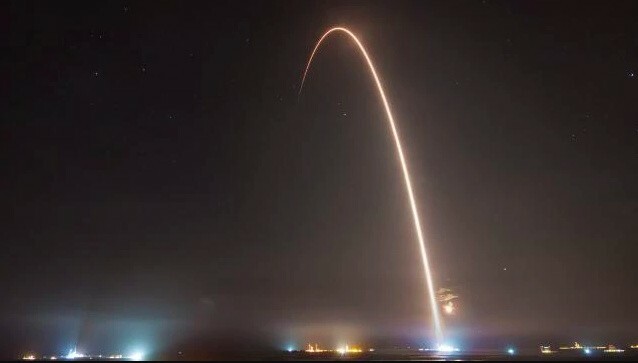 Falcon 9 took off at 12:45 am from the Launch Complex. SES-12 is capable of broadcasting and providing the broadband data services focused on the high-growth Asia-Pacific region. The launch was, of course, the highlight of the event but the breathtaking photos that followed were the real winners. In no time, the social media was flooded with beautiful pictures of the SES-12 lifting off into space along with time-lapse and long exposure shots. So, these are the points to describe the SpaceX rocket has launched SES satellite into space, and it is a sight to cherish. On the going through of the Article, please give your comments.